On Tuesday July 9th, 2013 the city of Toronto and more specifically the city’s West End endured a massive thunderstorm. The storm dropped 126mm of rain in as little as 2hrs by the decree of Allaah. This rainfall total is almost double the monthly average (75mm) and the largest one day (even though it fell in 2 hrs) rain total ever recorded in the city of Toronto, even more than the 1954 fatal hurricane (Hazel) that destoyed most of the Humber River. Due to the extreme flooding, water from the sewer system backed up into sewer drains and into the basement of the centre. Despite many of the books in our storage area being elevated, the water/sewage rose more than 6 inches in the entire basement and wudhoo/toilets area. Most of the books are not salvageable (sellable) to suppliers. Damage is estimated to be approx. $15,000. The condition of the wudhoo area and other parts of the basement has not been assesed yet for water damage, although it is a tiled and concrete area. This is a trial from Allaah, the Most Wise, we thank Allaah for this challenge and we are hopeful in Him alone, that it will bring about more good. We say this, whilst most of the kuffar are cursing the weather and behaving ignorantly rather than being in awe of Allaah and realising he is All Powerful and that we are but at the mercy of Allaah Subhaha. We thank Allaah, then all of our brothers and sisters for their outpowering of concern and kind comments. It is heart-warming to see the love of Ahlus-Sunnah for one another and a clear sign of the unity of the people of Sunnah. 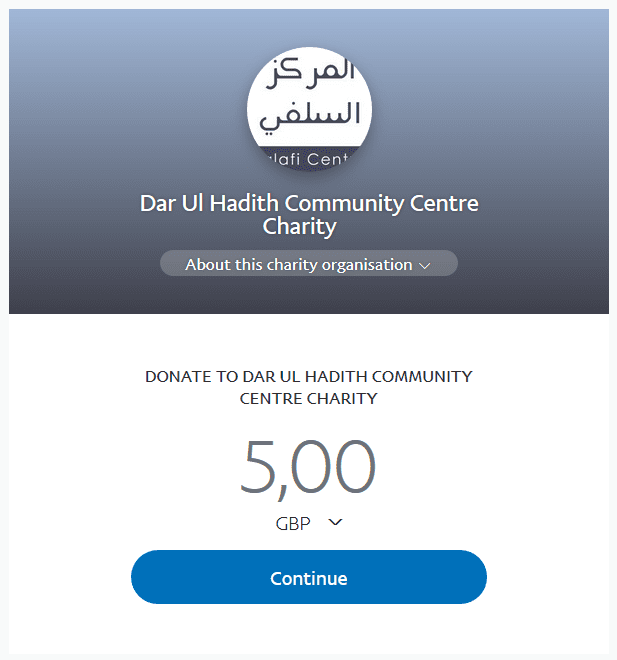 Cheque: Make payment to ‘The Reign of Islamic Da’wah’ (note: ensure name is exactly as shown).